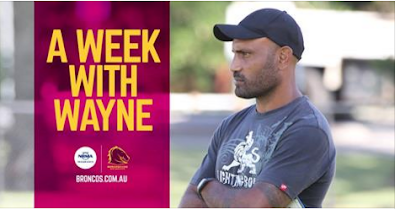 In fact, the coach of the Papua New Guinea Hunters in the Intrust Super Cup was even driven around by coach Wayne Bennett. "It was exciting," Marum said. Marum and the Hunters had an outstanding 2015, just falling short of a maiden grand final appearance in only their second year in the statewide competition. They were beaten in the QRL preliminary final by eventual State and NRL State champions, the Ipswich Jets. In 2016 they will be an even tougher proposition for visiting teams, with a brand new stadium in Port Moresby to be their home ground where more than 15,000 screaming fans are expected at every game.